Here is mine. Loading BASIC programs off of cassette (of course). Here is mine. Just go it last Thursday and already in the equipment rack next to my messy workbench. It's running CP/M 2.2. Kids and wife are playing Zork. My Altair 8800 Clone in my networking equipment rack at home. Last edited by Drunkle on April 24th, 2015, 5:04 pm, edited 2 times in total. Last edited by gio74 on February 25th, 2015, 2:27 pm, edited 1 time in total. Sorry to be dozy, but how do I post a picture? Do I have to put it on some webspace of my own and keep it there indefinitely, or can this forum host the image? mail@gabrielegan.com wrote: Sorry to be dozy, but how do I post a picture? Do I have to put it on some webspace of my own and keep it there indefinitely, or can this forum host the image? Thanks, Tom, I'd got that far -- my question was about where on the Internet the picture was to be hosted. Guess it has to be my own webspace unless I want to sign up for another hosting service, which I don't. Right, are are my two pictures. The first shows an Altair being controlled by a terminal emulator running on a Compaq SLT 386s/20 laptop. 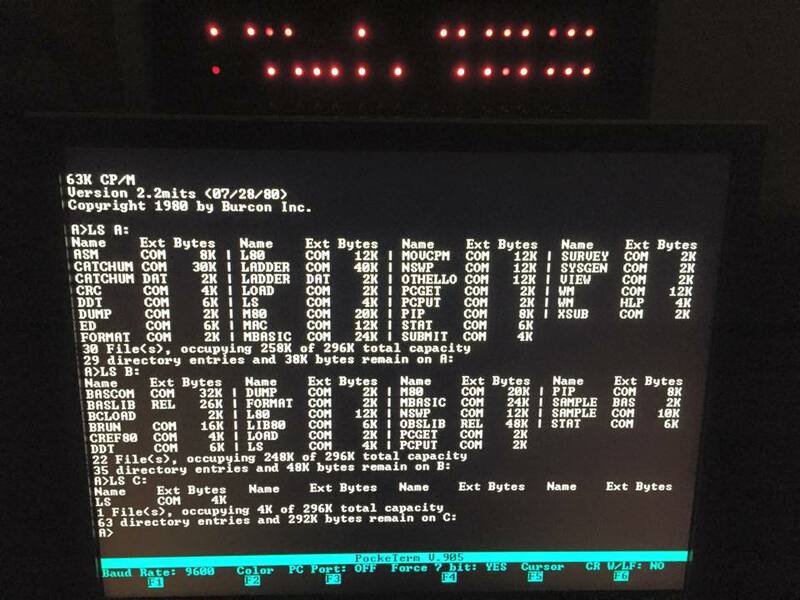 (I've discovered that cheap old PCs with built in serial ports are much more reliable as stand-in dumb terminals than a modern PC running a USB/RS232 converter.) 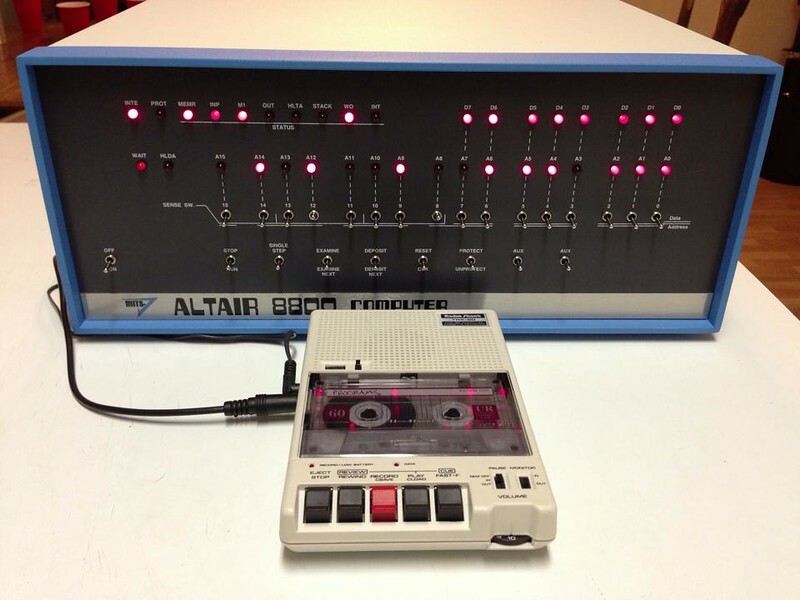 In the top-right is the GNT paper-tape punch/reader that the Altair can be booted from. The second picture shows the Altair amongst a couple of the real old dumb terminals I've picked up on Ebay: a Lear Siegler ADM-5 and a Viewpoint 1A. I've enabled attachments for the forum for those who don't have a way to host images. Instead of referencing the image URL in-line with the IMG tag, use the "Upload attachment" tab below the edit window where you are typing your message. Here's a view of the case prototype with the PCB prototype in place. Clicking on the thumbnail give a full size view. AltairClone wrote: I've enabled attachments for the forum for those who don't have a way to host images. Instead of referencing the image URL in-line with the IMG tag, use the "Upload attachment" tab below the edit window where you are typing your message. Thanks! That'll make it easier for us. Now how about an Altair 8800B clone? I like the front panel and flat switches of those. You already have the functionality in the current version so it shouldn't be too hard to do (says the guy who never built anything in his life!) although finding a source for the flat switches may be problematic.